I totally blew it last week, St. Patrick’s Day wise. I decided, therefore, to atone for my sin this week with the most severe Irish whiskey based cocktail I could find. 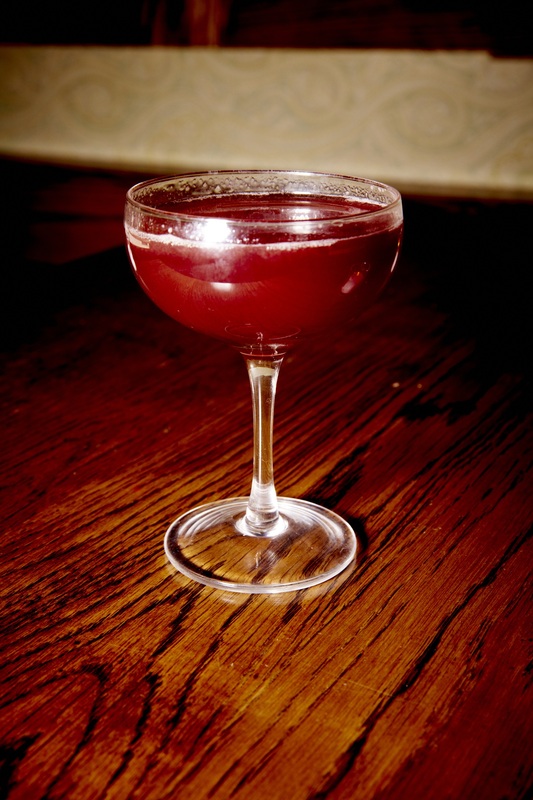 And so we present the Blackthorn Cocktail, which sounds a little bit like it was named after the villain of a 1950s swashbuckler with Burt Lancaster or Stewart Granger. 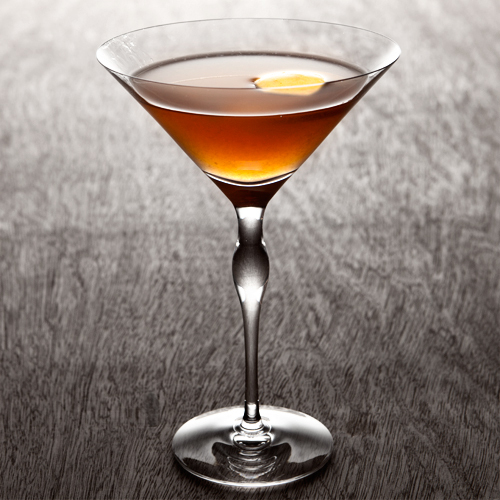 This drink appears in, among other places, Harry Craddock’s The Savoy Cocktail Book, but finding a human being who’s actually had one today will be a challenge — even many cocktail bloggers seem to avoid this one. Superstar booze maven Gary Regan adapted it into a more popular version which, to begin with, substitutes sweet vermouth for the dry stuff used in this version. Maybe we’ll get to that one eventually, but I don’t hold with some of the disdain this Blackthorn Cocktail has generated. It might not be sweet treat, but neither is a martini, and we like those, right? This is an easy one. Just combine the ingredients in a cocktail shaker with your usual massive amount of ice. Shake, yes, shake this drink vigorously and strain into a chilled cocktail glass. Toast the classic cocktail purists who, for once, allow us to shake a drink that contains no citrus. Aye and begorrah! I admit that the Blackthorn Cocktail is what you would call a sophisticated drink, it’s definitely not for everyone. 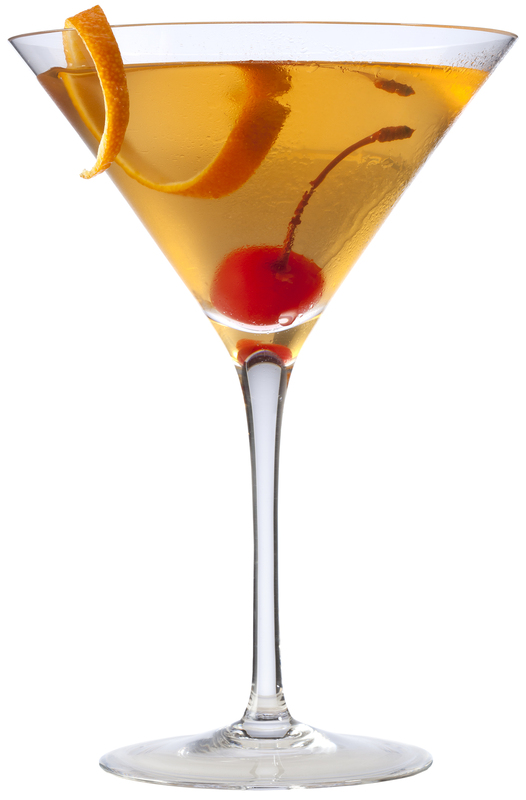 On the other hand, it’s actually no more inaccessible than a 50/50 martini (i.e., 50% gin and 50% dry vermouth) or a Dry Manhattan, both of which have their share of similarities with the Blackthorn. It does have that tiny bit of absinthe — a classic case of a little going a long way. Here, however, it goes just the right distance,. I should note that my 1/2 teaspoon of the formerly notorious wormwood liqueur is different from the original Craddock version, which calls for three dashes. Maybe I should just purchase an eye dropper, but I have no idea how I’m supposed to get a dash out of an ordinary, non-squirt top bottle. Anyhow, I liked my results this way. The licorice-like flavor of anise centers this drink. I tried the Blackthorn Cocktail with two different Irish whiskey brands. Generally speaking, I prefer Bushmills — love the stuff, actually — but the more assertive flavor of Kilbeggan worked very nicely and resulted in a somewhat livelier drink. As for my vermouth, I did most of my Blackthorns with Martini, which was very good. Thirsting for more adventure, I finally got around to trying the cocktails hipster’s choice these days, Dolin Dry Vermouth. It’s a less dry dry vermouth, if you follow me, that actually puts me a bit in mind of the now either hard to find or all but nonexistent stateside Noilly Pratt Original Dry Vermouth. It’s maybe a bit more complex and sells for roughly double the price. Similarly to when I used the Killlbeggans, the Dolin made for a slightly livelier, crisper libation. If you’re looking from tips on how to pronounce the name of this week’s drink, you’re barking up the wrong tree. For one thing, my secretive communications with the dark forces that provide me with free booze and some very decent cocktails from time to time are all done via e-mail and gaelic doesn’t happen to be one of my languages. (My languages include English and, of course, fluent Pig Latin.) I’m pretty sure, it’s not pronounced “the faulty,” however. I do know that it was developed for Kilbeggan Irish Whiskey, a brand which we’ve featured here before but of which you should not be ashamed to be ignorant. It had very limited distribution here in the States prior to be being picked up by the Jim Beam liquor monolith last year. Now, this brand is getting enough attention that even I’m hearing about it repeatedly and getting bottles thrown at me. The whiskey itself is a very decent choice, particularly for Irish whiskey fans who might be looking for reasonably priced alternatives to the two very well known — and admittedly very lovable — iconic Irish brands. I also appreciate the effort they’re taking to making up more Irish whiskey cocktails. Today’s drink was actually created by Declan Byrne. Aside from having a very cool name that makes me think he might be actor Gabriel Byrne’s cooler older brother, he’s the President of the Irish Bartender’s Association. I imagine that to be an extremely august body, similar to the Jewish Tsuris Purveyor’s Guild. It’s actually a pretty delightful drink, though we discovered one controversial element, which we’ll deal with after the recipe below. Also, fáilte means “welcome,” which is nice. Combine all the ingredients in a cocktail shaker, add ice and shake as if possessed by a mad leprechaun. Or, if that’s a bit too much, shaking vigorously will also do. Strain into a chilled cocktail glass. Sip and contemplate how very rarely chocolate and whiskey have been combined. Which brings us to the interesting apparent disagreement regarding the Fáilte. I’ve actually altered the recipe above from Mr. Byrne’s original to allow for somewhat less of the chocolate bitters for a very specific reason — I didn’t really care for this drink when I went with the full five dashes. However, I liked it a lot when it cut the dashes down to 2, 3, or even 4. While I fully expected the combination of Irish whiskey and chocolate to be a case of two great things that go great together, for me, the flavor of the Fee Brothers Aztec Chocolate Bitters I was using just dominated the drink in a way I didn’t find at all pleasant. Wondering if perhaps I was using the wrong type of chocolate bitters, I found that my source at Kilbeggan had actually used exactly the same brand as I and loved the result. Could our taste buds be so different? Maybe. 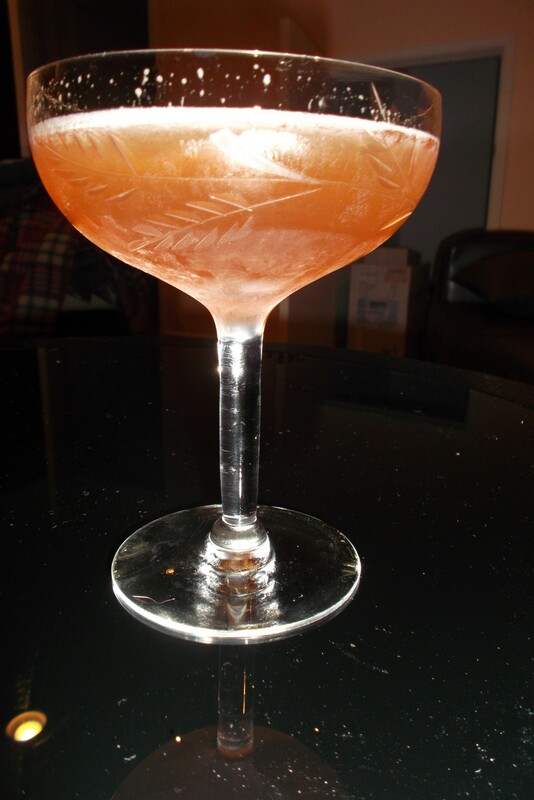 Or maybe it was something to do with the fact that they were using Monin cherry syrup and Luxardo amaretto, while I was using Torani cherry syrup and Disaronno amaretto. These are all pretty standard brands; could the flavor be so different? Well, I’m too cheap/poorly paid to find out, so I resorted to cutting down a bit on the chocolate bitters and the result was pretty darn good. Might the five dashes be perfect with those different brands? Could the flavors be so different? Readers are, of course, fáilte, to try out both combinations of brands and amounts of bitters for themselves, but I found what works for me.